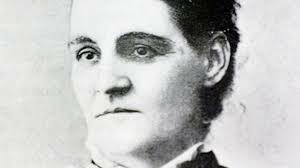 For many Australians, Louisa Lawson was a major force in allowing women to vote in the country but she was also a talented poet and journalist. 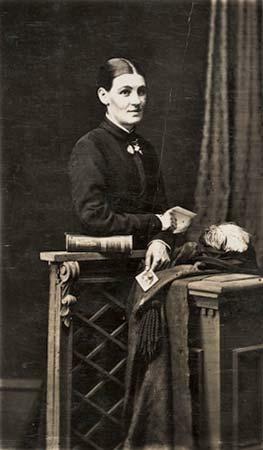 She was born in Guntawang in New South Wales, the second of 12 children to Harriet and Henry Albury. Educated at Mudgee National School she was offered a chance to go into teaching when she was 13 but her father insisted that she remain at home and look after her younger brothers and sisters. From the start Lawson resented the restriction but could do nothing about it. At the age of 18 she married a Norwegian gold digger and fortune seeker called Peter Larson, a surname which was later changed to Lawson. She joined him at a gold claim in Eurunderee where they lived hand to mouth, Peter working on the claim or doing building work for her father, and Louisa taking in sewing and looking after the children. 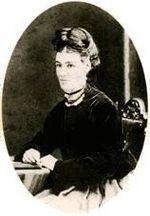 Lawson herself was a hardy individual and moved with her children to Sydney after the marriage broke down, working long hours to support her family as Peter rarely sent money to help them. By this time, influenced by her father’s storytelling and the death of one of her daughters, she began writing poetry some of which was published in the Mudgee Independent. 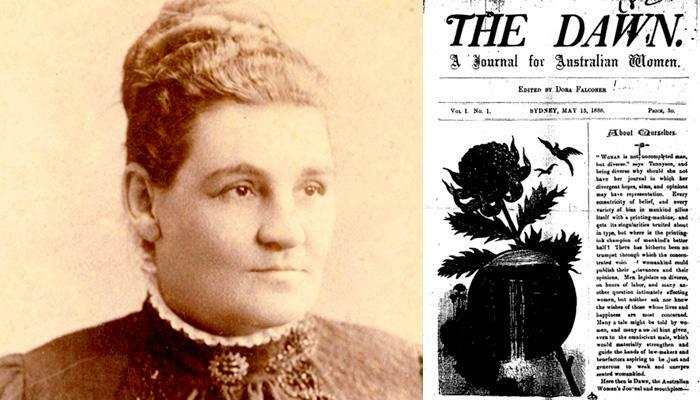 In 1887 she bought the Republican, a magazine that had fallen on hard times, which she and her oldest son Henry edited together. After gaining experience editing the publication, Lawson turned her attention to publishing a magazine specifically aimed at women called The Dawn. It was a huge success at the time and was produced monthly for the next seventeen years, exploring issues such as women’s right to vote and domestic violence. In 1888, Peter Lawson died suddenly and left her over £1,000 which enabled her to increase output, purchase a new printing press and finally employ more staff, all female. This did not come without consequences as the National Typographic Association tried to force her to sack all her staff but that only led Lawson to dig in her heels and fight for their rights as women. A year later she was campaigning for the right to vote creating the Dawn Club which was aimed at bettering the life of women in general. 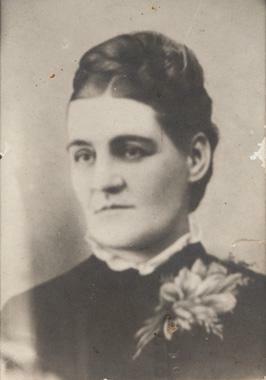 At the beginning of the 20th Century, women had been given the right to vote and Lawson was hailed in parliament as the ‘mother of suffrage in New South Wales’. In 1904, Lawson published her own short story Dert and Do and followed that up in 1905 with The Lonely Crossing and Other Poems. The Dawn, however, closed in the same year, after Lawson paid less attention to it following an accident when she fell from a tram. In later life, Lawson lived alone and in increasingly poorer circumstances, tending her garden whilst still trying to make ends meet. In 1918, she was admitted to a mental hospital after her memory began to fail and she remained there until her death two years later. 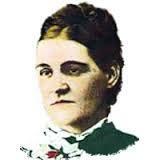 She was buried in Rockwood Cemetery in Gladeswood.